4. You will learn how to write specific books for specific markets. 5. You will learn the different publishing options for your book. 6. You will learn how to market your book to the right people. 7. You will learn how you can build your own “author brand” and become a known expert in your chosen field. 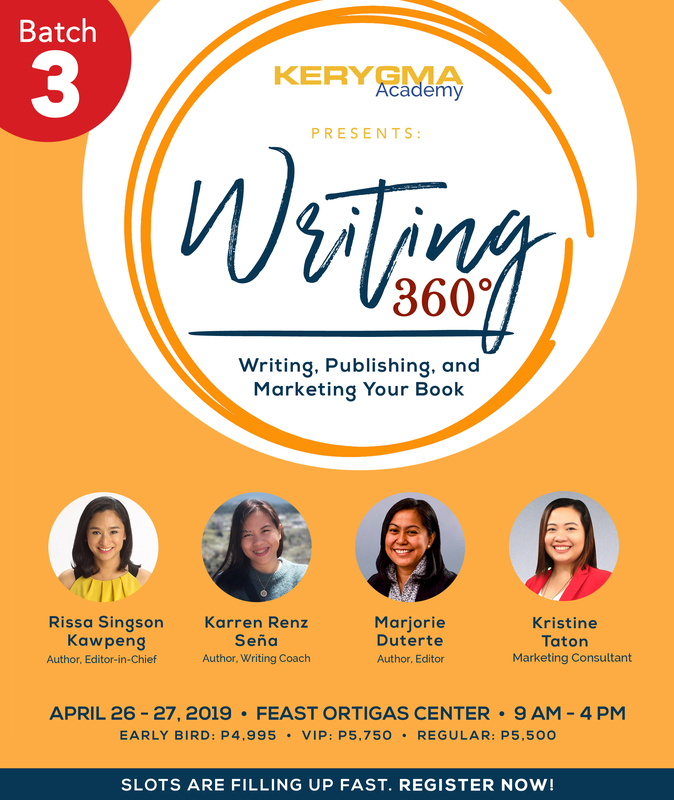 The Writing 360°: Writing, Publishing, and Marketing Your Book is happening on April 26-27, 2019, Friday and Saturday, from 9:00AM to 4:00PM in Ortigas, Pasig City.